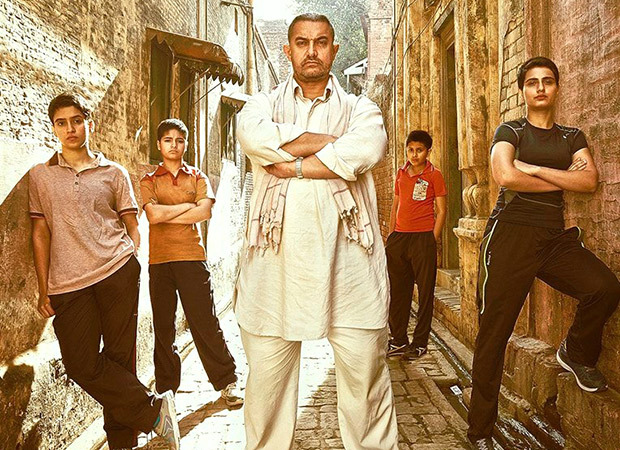 Dangal is a story of hope. 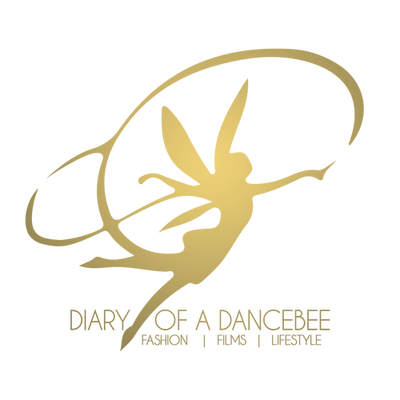 It explores the aspiration, determination, dedication and consistency required to work towards your dream, in order to achieve success. The film follows the journey of real life wrestler Mahavir Singh Phogat, a dreamer who hails from a small village in Haryana. A man of strong will, who trains and pushes his daughters - Geeta and Babita at every step and leaves no stone unturned to make them world class wrestlers and champions. It is a story of inspirational, strong women, who paved the way for young girls, who dreamt of making a career in wrestling. And once you watch the film, you cannot leave the cinema hall without a sense of pride - for both having such incredible heroes in our country and an industry that produces a flawless film like Dangal. 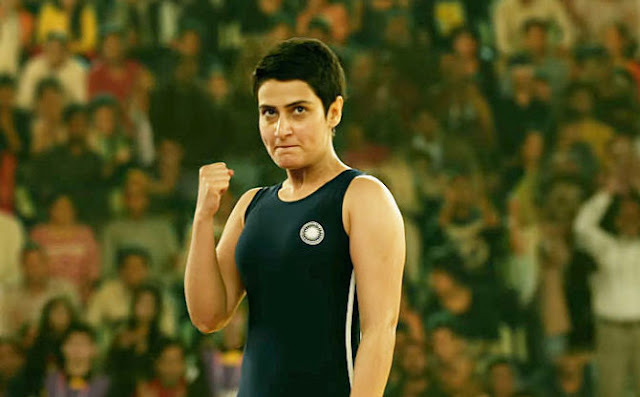 The film is a sports drama that revolves around Phogat and his dream to win a gold medal for India in wrestling. While he is unable to do so, he aspires to see his daughters do the same. Although initially, the dream is impossible to fulfil without a son, an incident pushes Phogat to believe that his girls have the potential to do well. Thus, Geeta and Babita's 'gold rush' journey begins. Since the film has a good pace, you are hooked on to the developments, right from the first frame. Dialogues are great, especially some incredible punch lines during the face-offs that will make you laugh and clap, as you watch the girls play against their opponents. It is important to note that in most films made on sports, somehow the story gets more mileage and the sport becomes complimentary. Fortunately, it is commendable how Dangal gets to the root of the sport and explains / shows everything related to wrestling in great detail. For someone with little or no knowledge, the film manages to create some serious curiosity and fascination around wrestling, with adequate information. Pritam's background score and soundtrack helps in the amplification of the emotions and mood of the film. 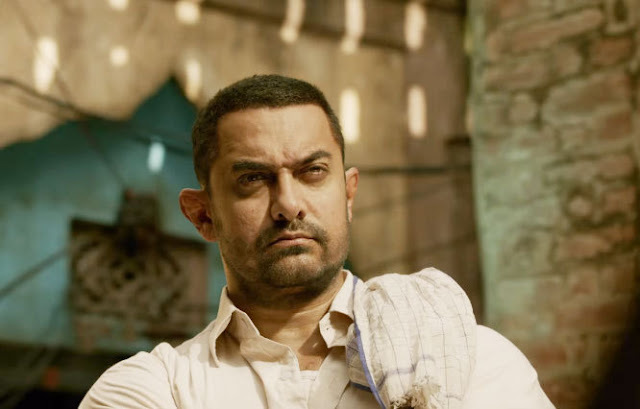 Aamir Khan as Mahavir Singh Phogat has once again proved why he is called a perfectionist. As the determined and disciplinary father, who will go out of his way to turn his daughters into world champions, Khan strikes a chord and delivers an outstanding performance. Right from his transformation to a flawless act; there is no stopping Khan here. Debutants Saniya Malhotra as Babita and Fatima Sana Shaikh as Geeta do a fine job and their hard work is evident on screen. You will find yourself applauding in the theatres, as you watch the two girls fighting it out, one match after another. Zaira Wasim and Suhani Bhatnagar, who play the young Geeta and Babita respectively, keep you glued on with their impeccable comic timing and perfect nuances as a budding wrestler in the first half. They set the mood right in the film with their stellar performances. Sakshi Tanwar who plays Phogat's wife, Daya Shobha Kaur, is exceptional and leaves a strong impression with her performance. Mukesh Chhabra's casting is spot on, as every character seems real and has equal contribution in making the film impactful and appealing. As the captain of this strong ship, Nitesh Tiwari excels and gives us a film that ends the year on a high. Even if the climax is predictable, it is shot beautifully. You will find yourself sitting at the edge of your seats, holding your breath, watching every second of the proceedings, without even blinking or excusing yourself for a break. Films like these urge you to stand on your feet, clap and salute the country and its heroes. Everybody loves to witness or experience the sheer joy of cheering for your country’s glorious win. But, when you haven't attended or watched the real event, and a film manages to portray the exact emotion perfectly - that's powerful cinema for you! Dangal has that experience in store for you. Without a doubt, Dangal is one of the best sports films made in India till date. Take a bow, team! You deserve it. Verdict: Aamir ki chhoriyaa ladkon se kum nahi. Highly recommended!